Yes, Easter is coming soon - another nice long weekend. 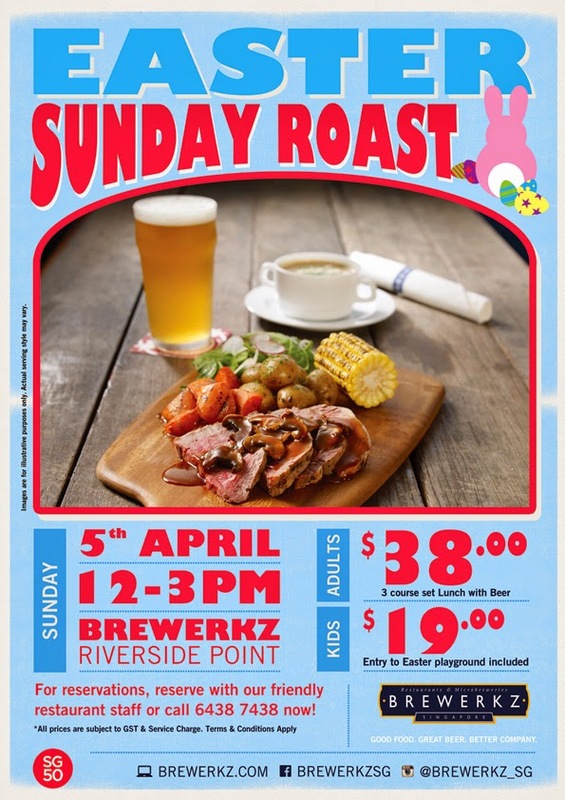 Brewerkz has a special Easter Sunday lunch from 12 noon to 3pm at Riverside Point. 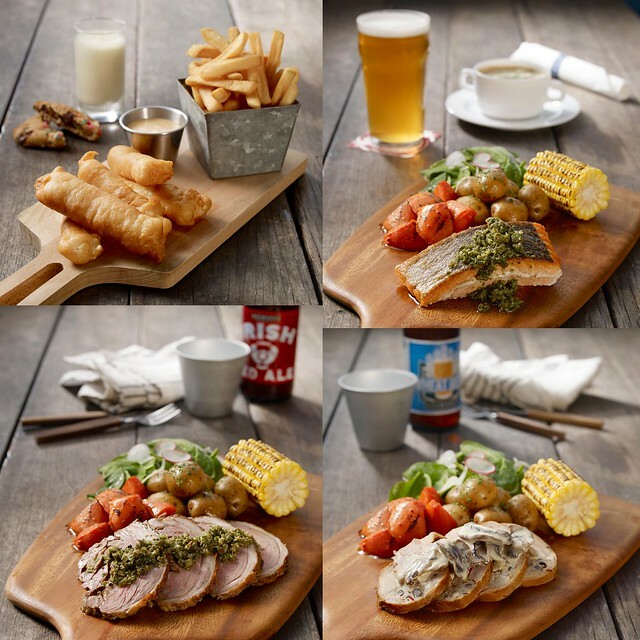 Adults (S$38++) get a three course meal with appetizer, main courses of beef, chicken, lamb or salmon, a delectable Easter dessert and a pint of handcrafted beer. Kids get to enjoy the Easter playground which is back by popular demand. At only $19++, they get Crispy Fish Bites or a Cheese Burger, choice of soda, homemade Cookie & cream milkshake and exclusive entry to the Easter Playground! Sculpt imaginary friends along with Mr. Balloonist, get creative with fun colouring activities and jump around in a massive inflatable Bouncy Castle! For reservations, call +65 6438 7438. Thanks to Brewerkz for the giveaway. All photos courtesy of Brewerkz Singapore.